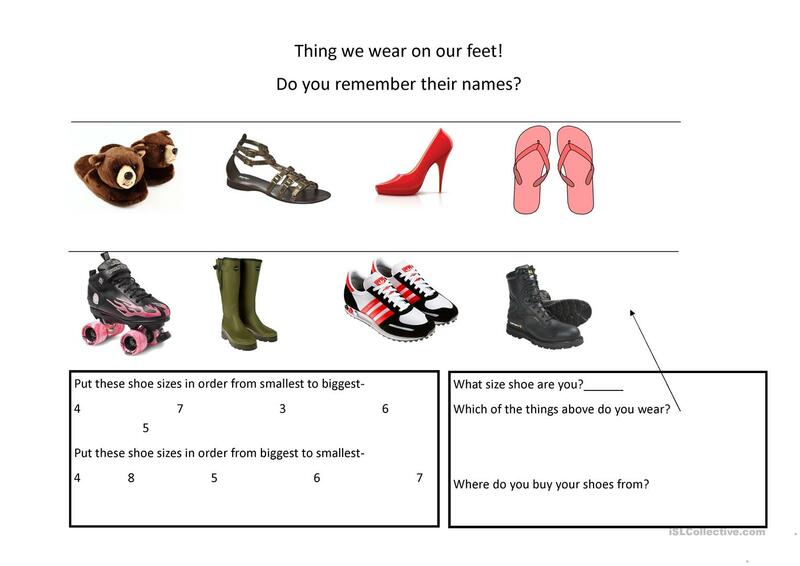 This a worksheet for SS to learn the names of things we wear on our feet and to look at shoe sizes and answer a few questions. You can expand it by including a listening activity for shoe types and shoe sizes. This printable, downloadable handout is best suited for high school students and adults at Beginner (pre-A1) and Elementary (A1) level. 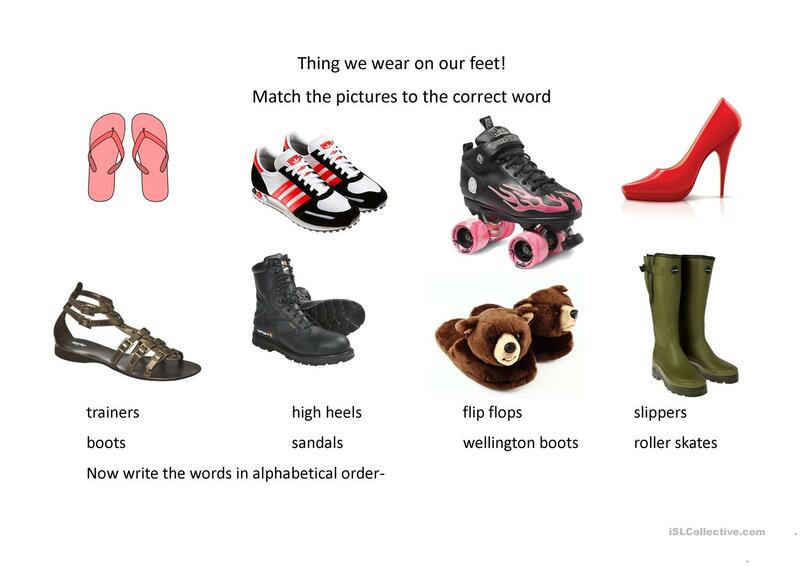 It is useful for developing your pupils' Spelling, Reading and Writing skills. It focuses on the topic and words of Clothes, fashion.